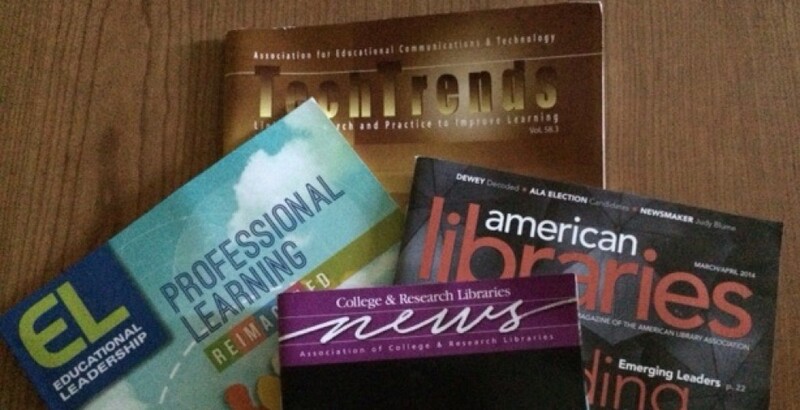 Information Literacy has long been a key concept for information studies and it occupies a central place in the mission of libraries and in librarians’ practice as educators. But there has never been a true consensus among information professionals and educators about what it means to be information literate. The recently developed concept of critical information literacy demands that information literacy instruction be recast much more ambitiously as a pedagogical program that encourages students and the public more generally to explore and understand how information is produced, disseminated and consumed. It also seeks to situate that mechanism as an integral and even constitutive part of contemporary society, so that students not only learn how to ‘use’ information productively, but also so that they are motivated and empowered to change or improve upon those information structures. Ultimately, critical information literacy seeks to be a central part of an education that empowers students not only to succeed in the world as it exists, but also to recast and reshape that world into something more just, peaceful and hopeful. The 2014 LACUNY Institute committee welcomes proposals that suggest ways we can further develop the concept of critical information literacy, whether or not one wishes to use that term. We are interested in both proposals that think big about information literacy as well as those that are more concerned with specific practices and experiences. We are particularly interested in work that brings the two together to show how critical information literacy can be successfully achieved in the library classroom, reference interview, or other, non-conventional instruction spaces. We look forward to your participation in the spring of 2014! * abstracts of 300-500 words. Presentations will be 20 minutes with time allocated for questions and discussion. In your proposal, please include your preferred name, your institutional affiliation (if any), your presentation title, and a description (100-300 words) of your presentation and how it will relate to conference themes. Please send the proposal as an email to proposals@transectingsociety.com by December 1, 2013. The conference has a limited number of slots available for presentations via video call. These slots are reserved for presenters who cannot travel to the conference. If you would like to be considered for one of these slots, please specify this request in your proposal and explain why you cannot travel to the conference. For more information, please visit transectingsociety.com. The LITA/ALCTS Marc Formats Transition Interest Group invites proposals for presentations for its session at the 2014 ALA Midwinter Conference in Philadelphia , Pennsylvania. The meeting will take place on Saturday, January 25th, from 3pm to 4pm. * Discussions of recent MARC changes, RDA in MARC or ongoing problems or complexities of the standard. * Other unconventional projects using MARC data. Proposals should be e-mailed to Sarah Weeks (weekss@stolaf.edu) by Monday, November 11, 2013. Please include presentation title, summary, amount of time needed for the presentation, and the names, titles and contact information for the presenter(s). This year’s conference theme touches upon the international and interdisciplinary requirements of aligning data and research infrastructure. The 2013 OECD Global Science Forum report on New Data for Understanding the Human Condition identifies key challenges for international data collaboration that beg for new solutions. Among these challenges is the mounting pressure for new forms of social science data. In today‘s abundance of personal data, new methods are being sought to combine traditional social science data (administrative, survey, and census data) with new forms of personal data (social networking, biomarkers or transaction data) or with data from other domains. Similarly, the need for open data, archiving, and long-term curation infrastructures has been identified for research data in the natural, physical, and life sciences. Funders in all areas are pushing to enable the replication and/or reuse of research data. What alignments are needed between data and research infrastructure to enable these possibilities? The international research community is in the midst of building a global data ecosystem that consists of a mixture of domain data repositories, data archives, data libraries, and data services and that seeks ways to facilitate data discovery, integration, access, and preservation. Evidence of this transformation is found in the recently established ICSU World Data System and in the Research Data Alliance. Like IASSIST, these organizations are contributing to the development of a global data ecosystem. Alignment or unification of strategies must take place at many levels to achieve this. How do we proceed? What advancements are needed in research data management, research infrastructure, and the development of new expertise? We welcome submissions on the topics described above and encourage conference participants to propose papers and sessions that will be an interest to a diverse audience. To facilitate the formation and scheduling of sessions, three tracks are being offered: (a) Managing research data, (b) Providing data services, and (c) Developing data infrastructure tools. If you are unsure which track your submission fits or if you feel it belongs in more than one track, the Program Committee will find an appropriate place. An online submission form along with a further explanation of the tracks and guidelines for conference and workshop content will soon be available at http://www.library.yorku.ca/cms/iassist/. We also welcome workshop proposals around the same themes. Successful proposals must blend lecture and active learning techniques. The conference planning committee will provide the necessary classroom space and computing supplies for workshops. For examples of previous IASSIST workshops, please see the descriptions of 2011 workshops (http://www.rdl.sfu.ca/IASSIST/index.php/Program/category/tuesday_workshops/) and 2013 workshops (http://www.iassist2013.org/program/workshops/). Typically workshops are half-day with 2-hour and 3-hour options. Notification of acceptance: February 7, 2014. Questions about workshop submission may be sent to the Workshop Coordinator, Lynda Kellam at lmkellam@uncg.edu, and there will be a separate call for workshops shortly. The Popular Culture Association and American Culture Association invites submissions for individual papers, and for complete panels, for its Women’s Studies area, for its 2014 conference, to be held in Chicago, Illinois from April 16–April 19, 2014. The LITA Heads of Library Technology Interest Group (HoLT) seeks 4-5 short presentations (10-15 minutes) on issues relating to Leadership and Library Technology for the upcoming 2014 ALA Midwinter conference in Philadelphia. All topics will be considered. Physical attendance is required for the presentation and/or attendance at this meeting. Deadline for proposal submission is January 15th. Our present generation of skilled and accomplished digital natives has a universe of information at its fingertips. But, while millennials can search quickly and productively, they have trouble sifting, sorting, and ranking the results. They lack experience with print archives and the fundamental differences between encountering information digitally and in print. They need help with the research process: everything from presearch to evaluating sources’ arguments to integrating sources into their own projects. How can librarians and faculty best teach these higher-level skills in a world of information overload? Join the ACRL Award-winning Thomas Tredway Library as we explore these provocative and challenging issues in our one-day conference. The keynote speaker is Sandra Jamieson, Director of Writing Across the Curriculum at Drew University and a principal researcher on the Citation Project (http://site.citationproject.net/). new pedagogical approaches to teaching . . .
Proposals are due February 15, 2014. To submit a proposal, register for the conference, or find additional information, please visit the conference website (http://www.augustana.edu/x11824.xml?eventid=10806). The 2014 LIRT conference program planning committee is issuing an open call for proposals for presentations that focus on strategies that libraries of all types have used to provide instruction to students in wholly online courses or programs. Presentations should be approximately 20 minutes in length. An increasing amount of coursework, both at the secondary and postsecondary level, is being conducted online. This shift in the delivery method of education which began at the college level is now occurring throughout the K-16 continuum. Because many of the students in these classes and programs will never set foot into the host institution, this transformation has necessitated a great deal of change in all aspects of library services, including information literacy instruction. This conference program will spotlight some innovative ways that libraries are conducting and delivering instruction to this new cohort. Please submit a title and brief description of your proposed presentation to goo.gl/Qv0Cve by December 6th 2013. Do you have a new idea or project that you’re dying to share with your fellow LITA Forum attendees? The 2013 LITA National Forum (November 7-10 in Louisville, Kentucky) will once again host Lightning Talks, and we’re looking for speakers. Lightning Talks are short 5-minute presentations on a topic of your choosing. The Lightning Talk session is on Saturday, November 9, from 2:00 until 2:50 pm (during concurrent session 5). We will have no more than 9 Lightning Talks in the session. Each talk must be concise — the time limit will be strictly enforced — and contain no more than 10 slides (if used at all). Six of the 9 sessions will be allotted through a first-come, first-serve basis. We will accept proposals from the first 6 people who reply, and once these slots are full, the other names will go on a waiting list. We assume you’re registered for LITA Forum! The remaining 3 slots will be selected at 5 PM on Friday, November 8, through a lottery of people expressing interest at the conference. Details will be announced at the opening session. Submit your proposal via the Lightning Talk Signup form (http://bit.ly/lita-lightning). We will begin notifying the lightning-talkers and the first few runners-up as soon as we have six participants, so get your submission in quickly. If your plans change, please let us know so we can reassign your slot! Current presenters or poster-session givers are requested to give others a chance (unless they are burning with a completely different idea they are absolutely dying to share). These are quick, fun, low-barrier talks. Extensive slides and handouts are not required or expected. Remember, when the bell rings and your five minutes are up you are outta there! If your talk is selected, plan to be in the Seneca/Iroquois room by 1:45 pm to load your slides (if you use them) onto the presentation computer. Bring a thumb drive or be ready to download them from the cloud. Microsoft PowerPoint will be available on the presentation computer, along with an Internet connection. We will ensure that they are forwarded to the LITA office for inclusion on the Forum website. Please — no product pitches! More information on the LITA Forum is available on the LITA website (http://www.ala.org/lita/conferences/forum/2013), Facebook (https://www.facebook.com/LITA.ALA) and Twitter (http://twitter.com/LITAForum).